There's gonna be a whole mess of Santas (fully clothed this time) out and about on Saturday for Boston Santacon 2010. Here's the flyer ... it has all the info in it but you might end up cross eyed trying to read it all. 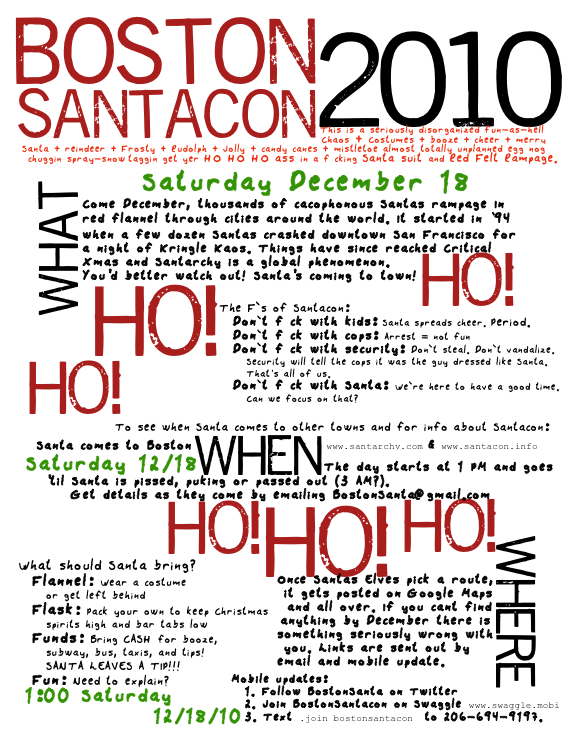 0 Response to "Boston Santacon 2010 - 12/18"